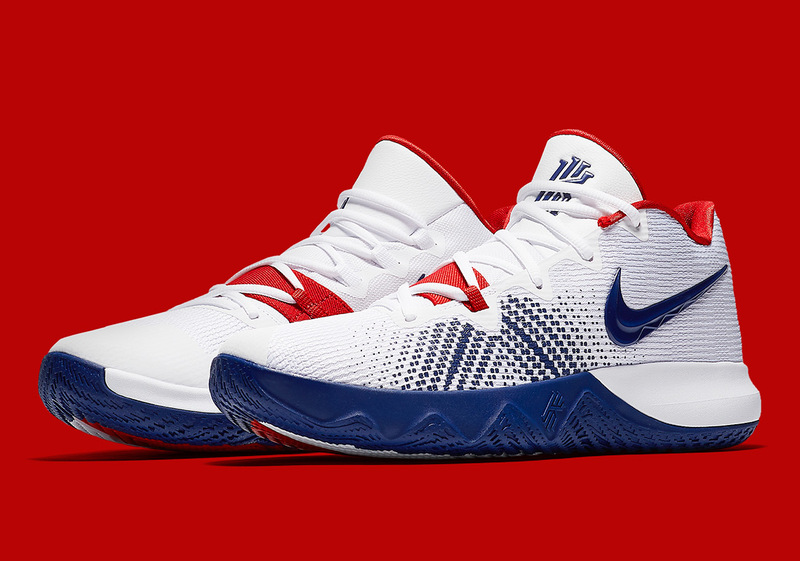 The Summer of 2018 has been a bit of a quiet one for Team USA basketball. 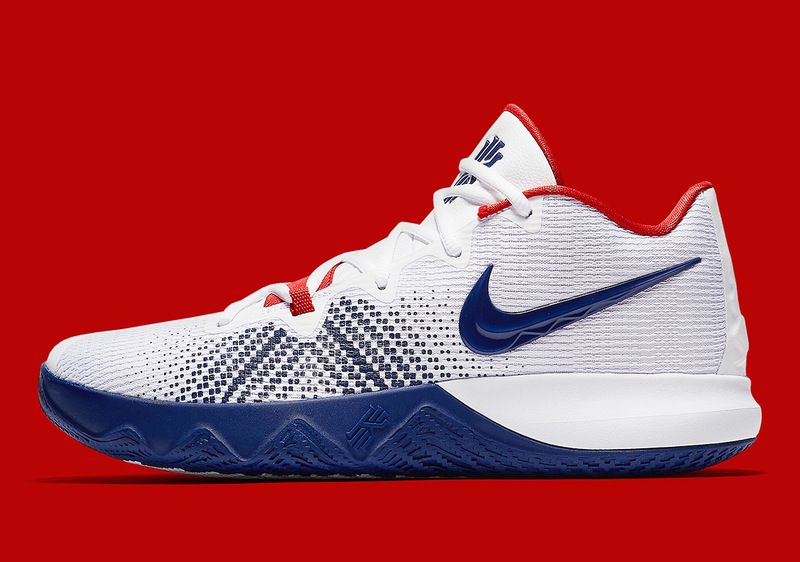 There are no major global tournaments going on, and the mini-camp for the American squad was just a few short days. 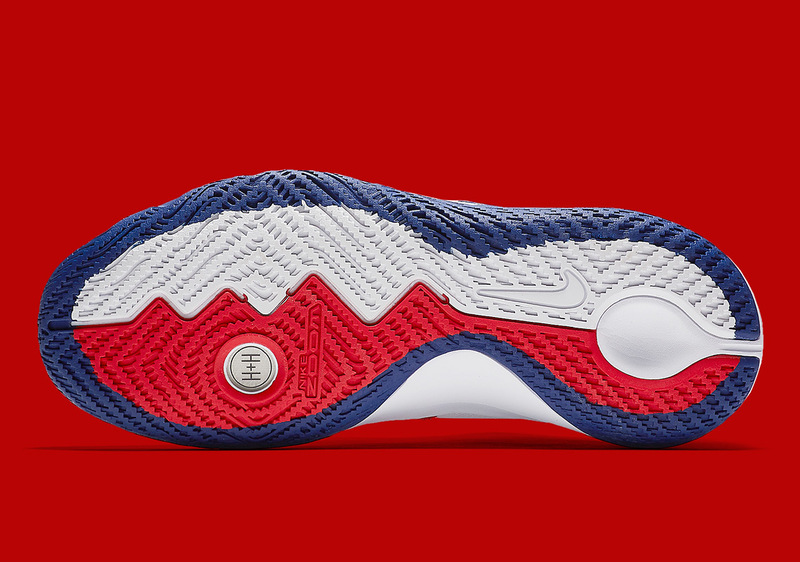 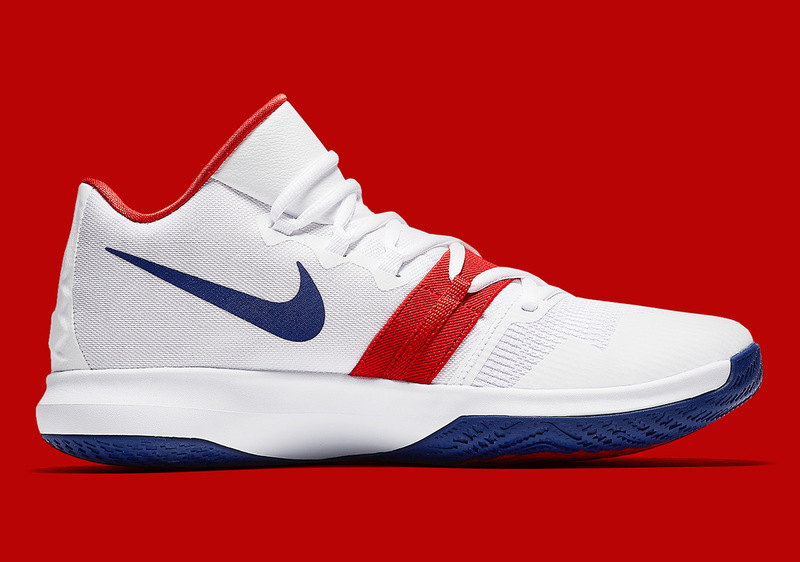 Still, ballers across the nation still have red, white, and blue themed sneakers to look forward to, and Nike just blessed Kyrie Irving fans with this clean All-American pair of the Kyrie Flytrap, the lower-priced model of the Nike Kyrie family. 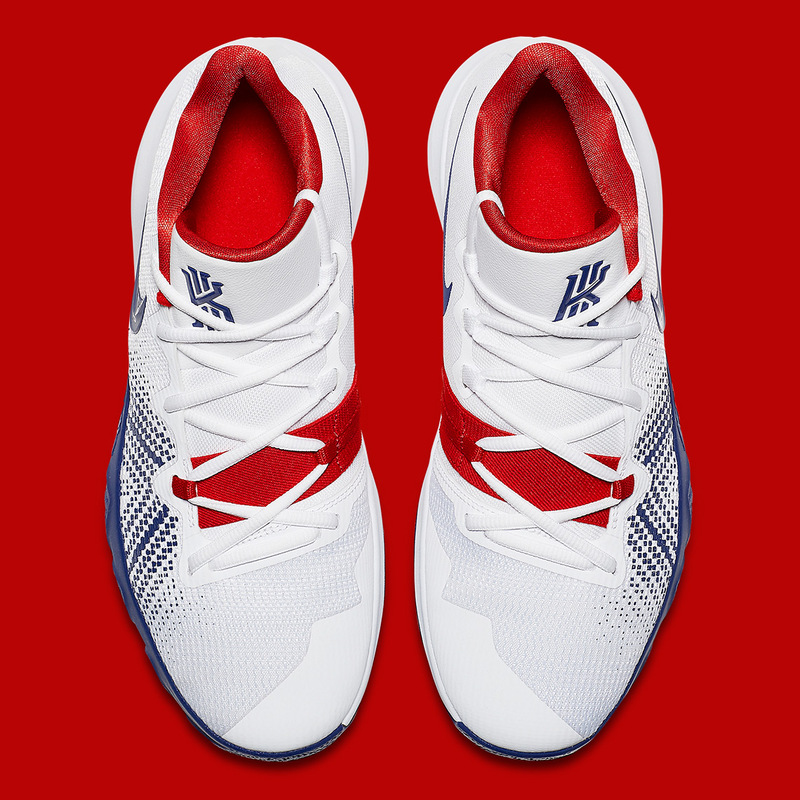 Drawing design cues from the Kyrie 4, the Flytrap model features a molded outsole, a seamless breathable mesh upper, and a unique wrap-around tongue construction that affirms lockdown for when you cross a hapless defender. 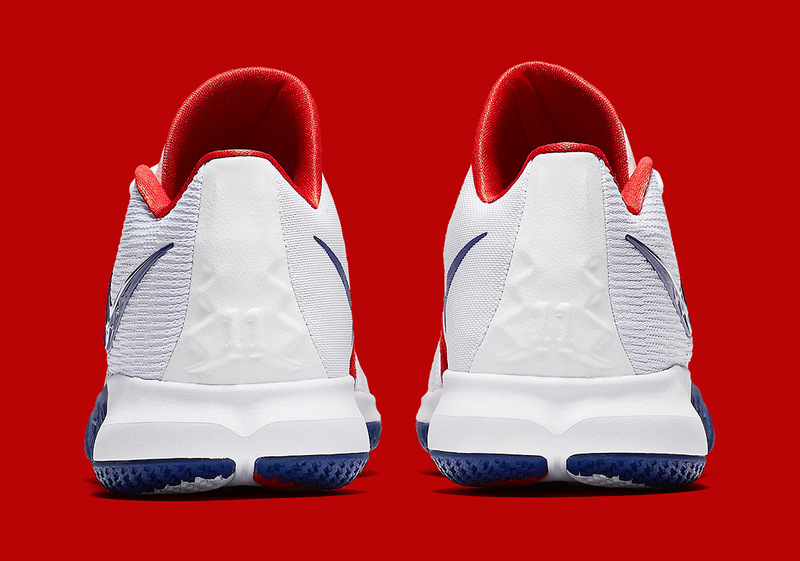 These just dropped overseas, but there are still ways to get these to your doors – just cop a pair on eBay.